have also written a poem inspired by the same story, which appears both on this blog and in the anthology 'Moon Poets', published by Moon Books. 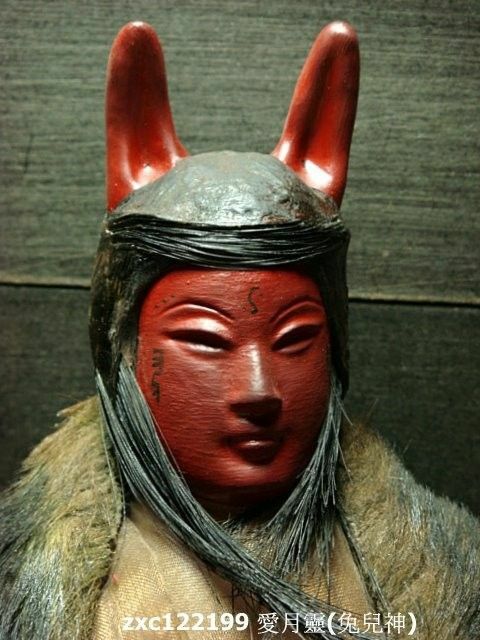 I'm not sure if Red Rabbit is a ghost story, a mythological tale, or something else entirely. I don't speak any Chinese and was concerned that the names might be inappropriate (not understanding the cultural context within which names are used). However, I ran this past a Malaysian friend who said the names were fine. I'm thinking of putting together a collection of spectral short stories with a magical/pagan theme at some point. I love reading the short stories of Christopher Fowler, Ronald Chetwynd-Hayes, Neil Gaiman etc., thought my stories are not in their league as yet. I'm not sure if there's a market for such a collection as yet, but hopefully so. The first version of this story was originally performed at a storytelling evening hosted by my friend Leo, who is rapidly becoming something of an internet sensation! He has a house rabbit, and the choice of this tale owes more than a little to Buck. That's quite eerie, and good to hear more from Tu Er Shen. Hopefully the collection will come to pass.